Striata Posts Customer communications: Choice is key! Customer communications: Choice is key! Isn’t it fantastic that we have such a variety of ways in which to communicate these days? Some very smart people with innovative technologies have given us the luxury of being able to choose exactly the channel, device and time that suits us to communicate. Just looking at social media as a channel, there are over 60 mainstream communication options available to us, with a current user base of 2.46 billion users worldwide and this is predicted to grow to 3 billion by 2021. That’s a lot of people to reach via a vast range of different channels. In an age of digital transformation, the move from paper to electronic is fierce in the communication space – this includes both marketing communication and operational documents, such as bank statements and utility bills. But, digital alternatives are now also available for other paper-intensive communications, such as insurance and legal documents. How can businesses utilize the most appropriate digital channels to distribute these highly confidential operational communications? The answer does not come in a single solution. The best approach is to provide a multitude of options that include both delivery and collection of customer documents (in the industry we call this ‘push’ and ‘pull’). 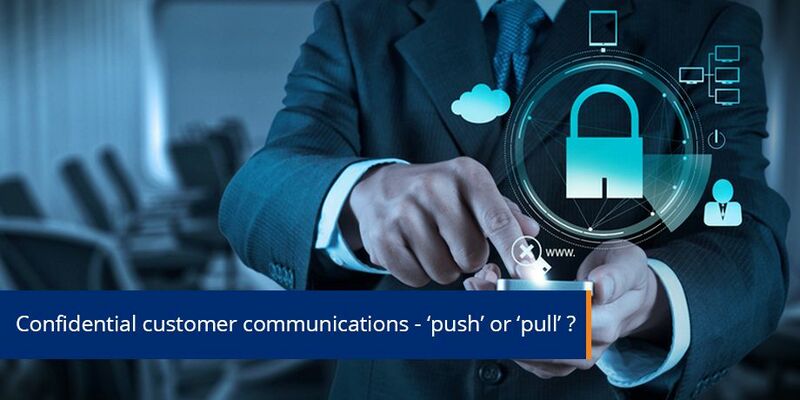 Providing both options is a customer-centric approach – each customer is different – some like to receive a document attached to an email (push) while others prefer to access their personal documents by logging into a mobile app or web portal (pull). Offering both, means your customer can select the channel that works best for them. There are many reports that show which channels customers prefer to use to communicate with a business. A 2016 State of Email survey showed more than half of U.S. adults check their personal email account more than 10 times a day, and it is by far their favorite way to receive communication from brands. This puts email at the number 1 choice for receiving personal information, such as documents. There are even reports showing that Millennials, although highly active on social media for personal interactions, still prefer to receive confidential business information by email. While these reports have statistically valid respondent groups and all that, I wanted to find out what my peer group thinks about this. I did a bit of my own research (full disclaimer: I actually just asked a small group from my personal network) how they would prefer to access a confidential document, such as a bank statement or utility bill. Most of the younger members focused on the difference between Facebook messenger and email, saying they preferred the idea of receiving formal communications (such as financial information) via email and to keep social media platforms for personal use only. Only a couple of respondents mentioned they would go to their service provider’s website to retrieve their bank or utility bill. Security concerns were high with everyone. Some had already been caught out by phishing techniques, whilst others actually had money withdrawn from their bank accounts through online fraud. The majority of respondents felt that paper documents sent by post were not secure, so they preferred accessing their confidential documents via digital channels, where various technologies are available to enhance security. What channels should businesses use to communicate confidential information? The answer is to offer your customers the ability to select their channel of choice for each type of interaction with your business. There are channels that are more appropriate for casual interactions (social media and chat) and other channels that are more suitable for formal, confidential communications, especially when it comes to security (email, portal and mobile app). Whichever channels you use to distribute confidential information – maintaining the privacy of the content inside the personal documents is paramount. Whether your customers choose to receive documents by email, log into a secure portal or view them on a mobile app – you need to ensure that the content is protected, no matter where, when or how it is accessed. One constant in this rapidly changing digital world – is the fact that things change so quickly. We can be sure that 6 months into the future, my personal survey would have different results, based on new digital communication options. It is imperative that your business stays in touch with new developments in the communications landscape. Why? Because your customers are! Frank is an account director at Striata. His focus is managing key partnerships across UK and Europe. Frank is passionate about nurturing new opportunities to completion, especially where technology plays a vital role in driving change for the betterment of customer communication in a digital environment. 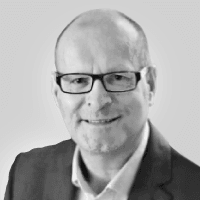 Frank is an established sales and business leader of 35 years successfully growing businesses, developing strategic sales and services opportunities and delivering high growth revenue business, across multiple different business sectors. Frank is also an accelerated learning practitioner, specialising in memory techniques, speed reading and use of mind mapping to drive efficiency in everyday life. He has often used these techniques when managing teams or projects to accelerate innovation and change, which in turn delivers more varied and desirable outcomes.